How important is Eyeota for Oracle? Oracle announced a global partnership with Eyeota a few months ago. What does Eyeota do and why is the partnership important for Oracle? We meet with one of the co-founders of Eyeota, Kevin Tan, CEO and co-founder of Eyeota to get a better understanding. Google and Facebook have probably the richest online customer data sets in the world. If you want data that tracks online customer behaviour independently and is not contained to the Facebook or Google environment, you will have to look elsewhere. This is where Eyeota comes in. And for a change this is not just another data start up that originates solely from Silicon Valley. Eyeota tracks data of online customers. The data is collected from hundreds of sources, like online publishers but also other sources owned by the likes of GFK, Experian, Kantar and Ipsos. The company was founded simultaneously in Singapore, Sydney and Berlin in 2010 by people who worked at Adify at the time, who had just sold off Adify. We asked Kevin Tan how it all started. What kind of data does Eyeota collect? “On the one hand, we have website owners and publishers. As indicated we help them monetise their data. On the other hand, we have advertisers and big brands that use our data for advertising purposes. We also have partnerships with platform companies like Oracle and Adobe as well. How does Eyeota position itself vis a vis Google and Facebook? What about the bad reputation of programmatic? The P&G CMO recently demanded complete transparency because of the suspected amount of fraud in the online advertising space. So, does that limit the usefulness of the data? The global scale clarifies why the Eyeota partnership is important for Oracle. 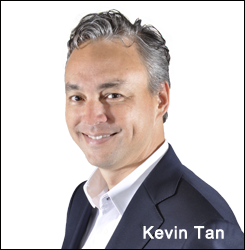 At the same time, Kevin clearly indicates that the partnership is one of many global partnerships with the likes of Adobe and Salesforce.